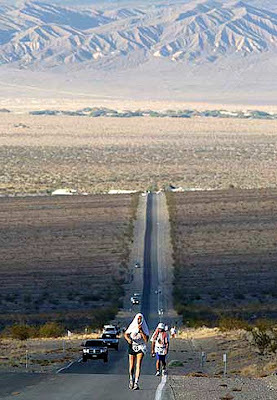 The 2013 Badwater Ultramarathon application submission period opens this Friday, February 1, 2013 and continues through Friday, February 15. The link to the 2013 application will be posted at the bottom of the "Entry" page on February 1. After the end of the entry period, "a committee of five race staff members, one of whom is the race director, will then review and rank each application on a scale of 0 to 10. The ranks will be tallied on February 21 and the top 45 rookie applicants with the highest scores, and the top 45 veterans with the highest scores, will be invited (rookies and veterans compete separately for 45 slots for each category). At that time, or later, up to ten more applicants (rookie and/or veteran) may be invited at the race director's discretion, for a total of approximately 100 entrants, and about 95 actual competitors on race day." 1. You have officially finished the Badwater Ultramarathon (the actual race held since 1987; “solo” efforts will not be considered, except those made prior to 1990) AND have completed at least one significant ultra running event in the previous 12 months (other than Badwater), i.e. between 2/1/2012 and 2/1/2013. 3. You have officially finished - in 48 hours or less - the Brazil 135, as well as one running race of at least 100 continuous miles (not kilometers as in the past) in length, AND have completed at least one significant ultra running event in the previous 12 months, i.e. between 2/1/2012 and 2/1/2013. 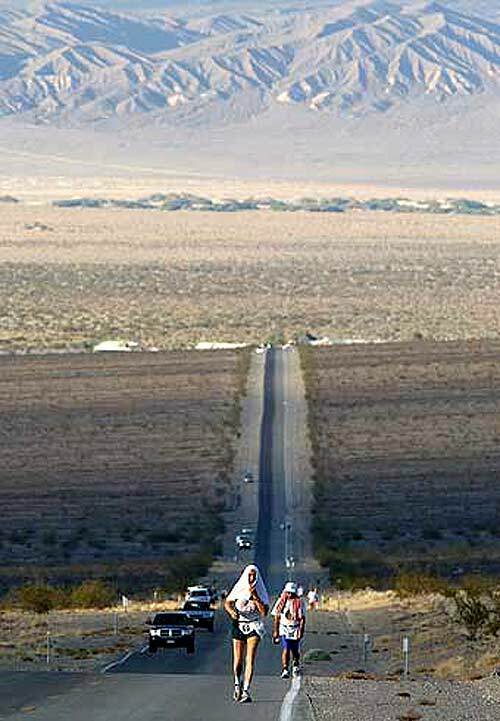 For more detailed information on the Badwater Ultramarathon and is application process and requirements, see the official Badwater Ultramarathon web-site (which includes, "Badwater Ultramarathon: Will you get in?"). I am guessing you're applying?